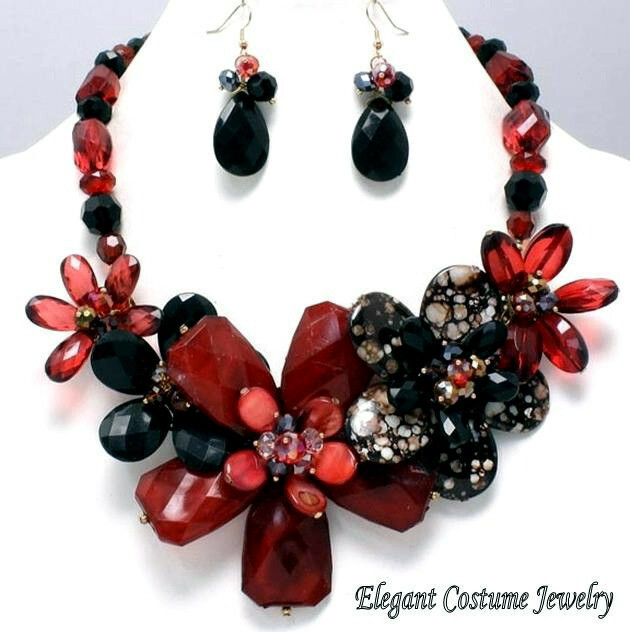 Persephone | Take Back Halloween! Persephone was a pre-Greek goddess who got drafted into the Olympic pantheon along with her mother Demeter. It’s a fair bet that she was the Queen of the Underworld long before the Greeks, with their usual penchant for male supremacy, added Hades to the mix and changed the story around. The Greek version is of course familiar: Persephone is the daughter of Demeter, the earth mother. While picking poppies one day in a field, she is abducted by Hades, who brings her to the Underworld to be his wife. During her absence Demeter becomes so distraught that the earth withers and all the plants die: wintertime. Only when Persephone is restored to her mother do the plants grow and bloom again. But because she had eaten some pomegranate seeds while in the Underworld, she is doomed to spend several months there every year. 1. Black satin flat sheet. This is for your tunic. The Greeks wore simple draped tunics of dyed wool, a look which is easily replicated with sheets and safety pins. We give you instructions below on how to pin it together. A full size sheet will work for most people. 2. Black chiffon veil . The veil is 45 by 90 inches; drape it over your head and secure with the poppy wreath you’re going to make (next). 3. Red silk poppies. Get a few artificial poppies with wire stems and twist them together into a circlet. You can get a few extra to mix with your bouquet (#5). 5. Dead flower bouquet with skulls. Skulls! Can’t get more Underworldly than that. 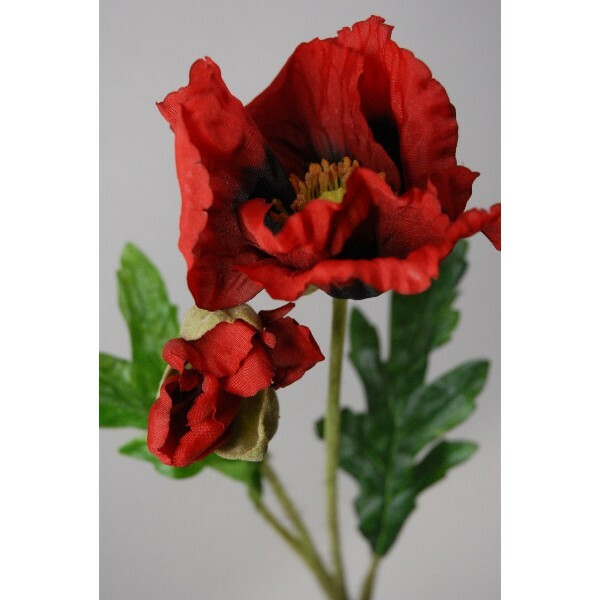 Mix it with a few artificial poppy stems for a vivid and very weird bouquet. 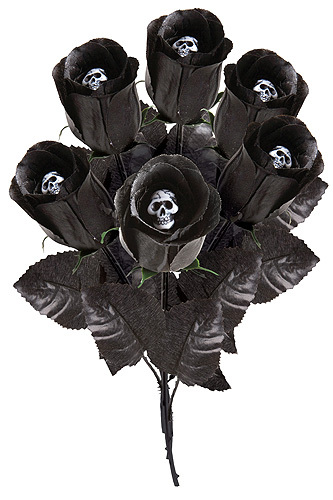 UPDATE: That skull bouquet has sold out already this year (as of September 5, 2013), and we’re not sure if it’s going to be coming back in stock. If not, you can easily make your own skull bouquet. Just get a dozen black roses ($7) and a pack of 1-inch black skull beads ($4). Use straight pins or glue to wedge a skull into the center of each rose. Voilà! Your own skull bouquet, even better than the one from the costume store. Shoes: Simple leather sandals are best. Gladiators, thongs, something like that. Illustration credits: The central painting in our main illustration is Death the Bride by Thomas Cooper Gotch. 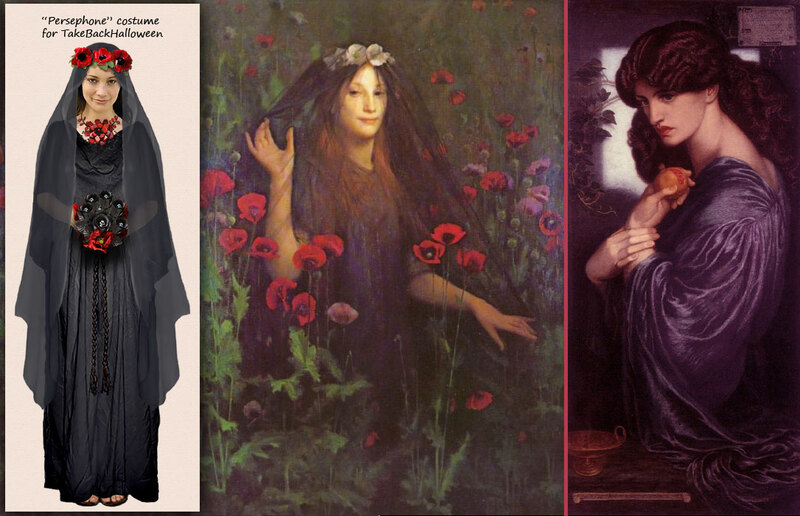 The painting on the right is Proserpine by Dante Gabriel Rossetti.